• Fixed an issue that caused the display to flicker if pictures were scrolled during playback zoom after the user had taken pictures using the viewfinder with Prioritize viewfinder selected for monitor mode and then removed his or her eye from the viewfinder before starting playback. • Fixed an issue that allowed the camera to exceed the value chosen for ISO sensitivity settings > Maximum sensitivity in the MOVIE SHOOTING MENU if it was from ISO 200 to 20,000 and On was selected for MOVIE SHOOTING MENU > Electronic VR. • Updated some help displays. 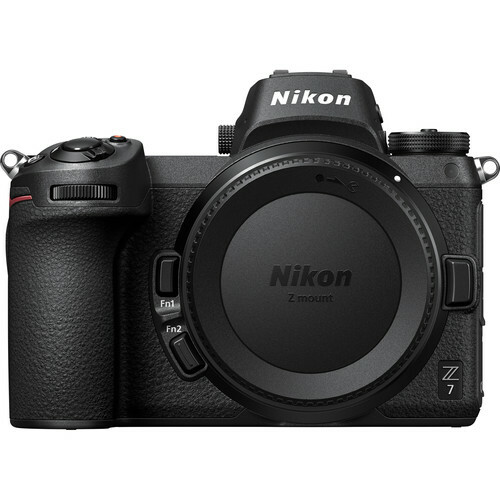 The Nikon Z7 mirrorless camera with 24-70mm f/4 S lens is now in stock at Amazon, B&H, Adorama.